Fall is here and it's time to reach for the darker hues! 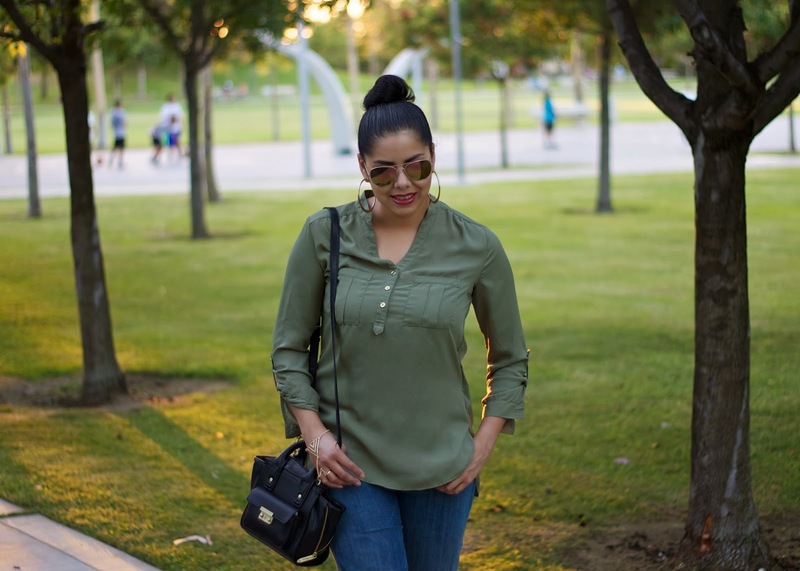 One of my favorite colors for Fall is Olive- it can lend itself to the military trend or mix well with animal prints. 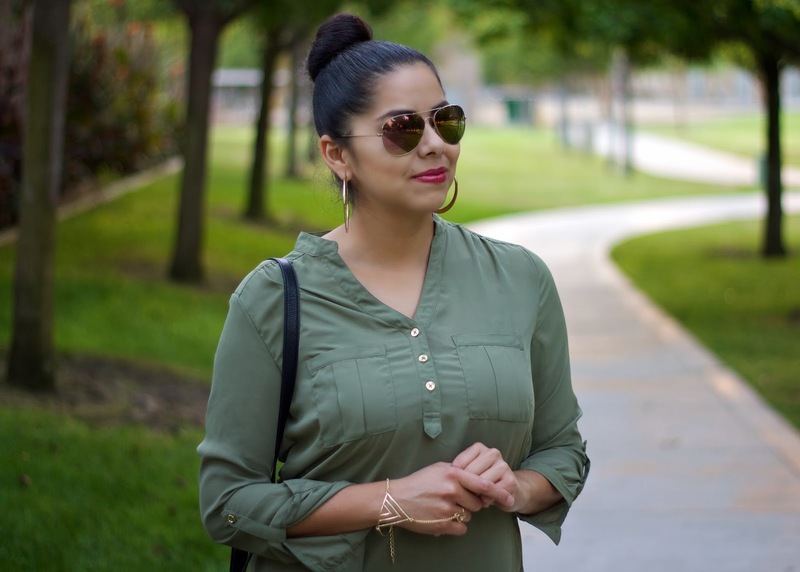 Regardless of how you choose to wear it, gold accessories are always a great touch. 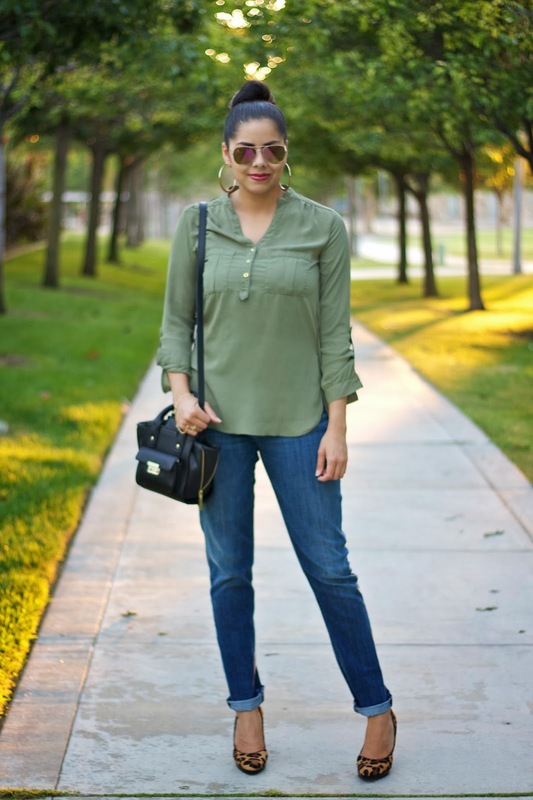 About the Outfit: Charlotte Russe top, Hudson Jeans, Nine West Leopard Heels (similar), 3.1 Phillip Lim for Target purse, Tanya Kara Handchain, Forever 21 sunnies (similar). 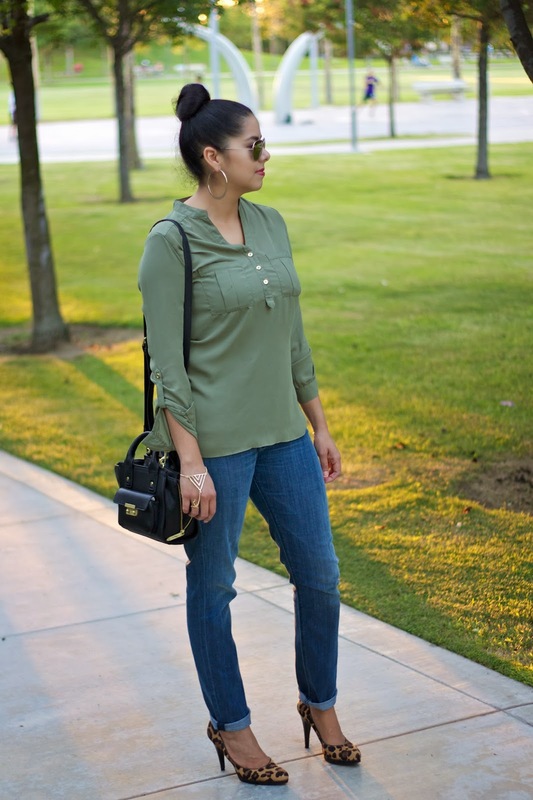 Yes and yes to olive and all military things! 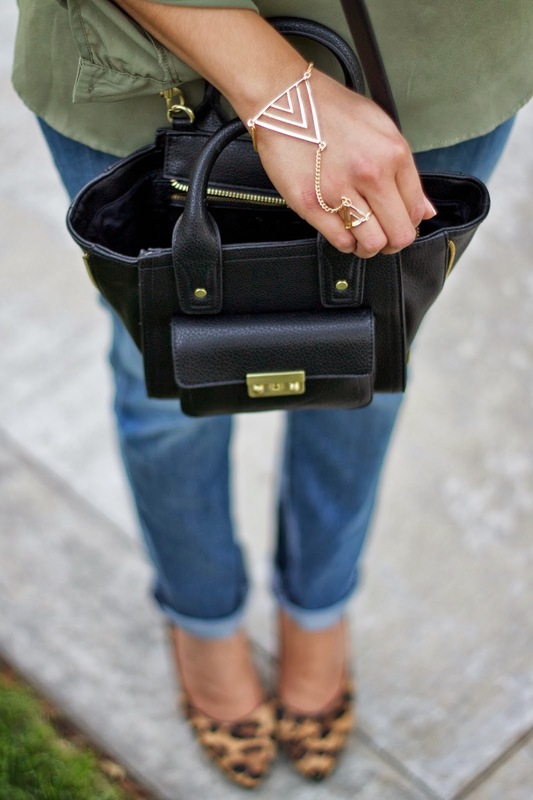 Adore the combo with leopard heels, so jealy you got that cute little bag! Mexico needs Target! I agree with you...It's a nice color and gold or leopard can also give it an extra spin!!! Yes! I also love how military green looks with animal print. Looking fab love! You pull off the bun so well! The outfit is great, I love how you paired it with leopard pumps. Simple, but yet so chic. Also love the touch of leopard with the shoes. Darling look girl! I am in love with the Phillip Lim for Target bag!! nice outfit! i love the animal print shoes! I adore animal prints. Never paired it with military but will certainly try. olive is definitely my color for autumn. greatly styled with leopard! Love the look. Those shoes are fab!! I like the olive top and, of course, the animal print heels :) Too cute and hot in the same time! 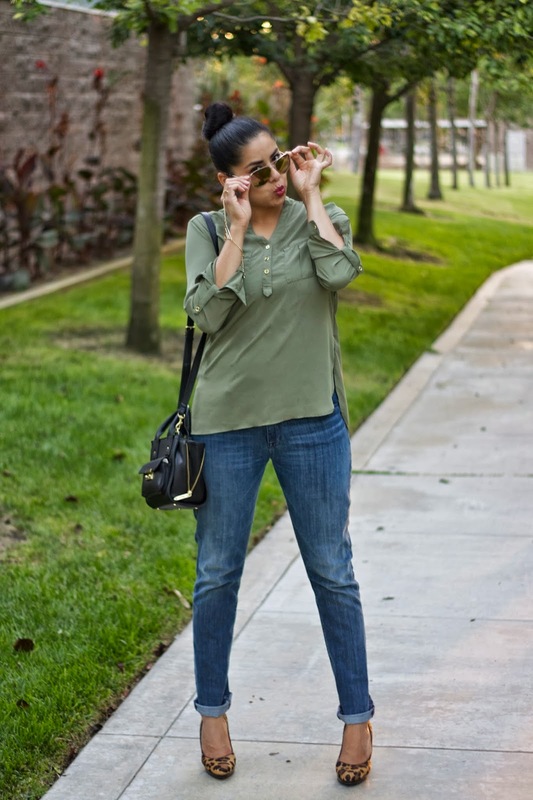 Yes to olive green! I love darker green colors. You look great in this outfit and that handchain looks so cool.